I remember watching Jerursalem – probably Jez Butterworth’s most popular play – a few years ago. I was in awe of Mark Rylance’s performance. As for the play itself: It confused me to no end, I won’t deny that. However, it is still one of the most gripping plays I have seen in my life simply because it was completely thrilling to watch the cast interact on stage. Jez Butterworth uses words like few other playwriters. His dialogues are often on the edge of being crude – actually lets face it, they are crude! But his characters are so well-developed and just fit together perfectly. So personally I think the absolute key to getting a Jez Butterworth play right is getting the casting right. Mojo unites a group of experiences stage and / or screen actors and puts them in the world of 1950s London (Soho) nightclubs. The owner of one nightclub is killed by a rival gangster in a dispute about singing sensation Silver Johnny. Jez Butterworth mixes murder, hate and revenge with toffee apples – yes, that’s right: Toffee apples! Mojo is staged in bright lights and loud beats. This play doesn’t sneak up on you quietly – it shouts into your face, and it does so brilliantly. And while it is a comedy in the wider sense Mojo is full of tension and violence. 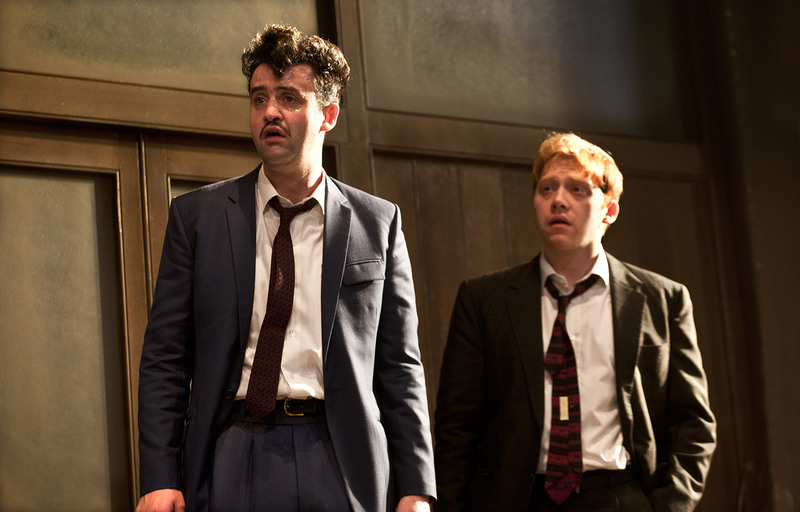 Rupert Grint and Daniel Mays play Sweets and Potts – the “comedy duo” in this play. Daniel Mays is without a doubt the stand out performer on stage. His character does have some of the best lines but Daniel Mays just shines in general whenever he is on stage. Him and Rupert Grint work well together. Speaking of the latter – he is doing a wonderful job in his stage debut. One can’t help but see a bit of Ron Weasley in his performance but then Sweets actually does have a few characteristics that remind me of the character from the Harry Potter saga. Ben Whishaw is thrilling to watch. 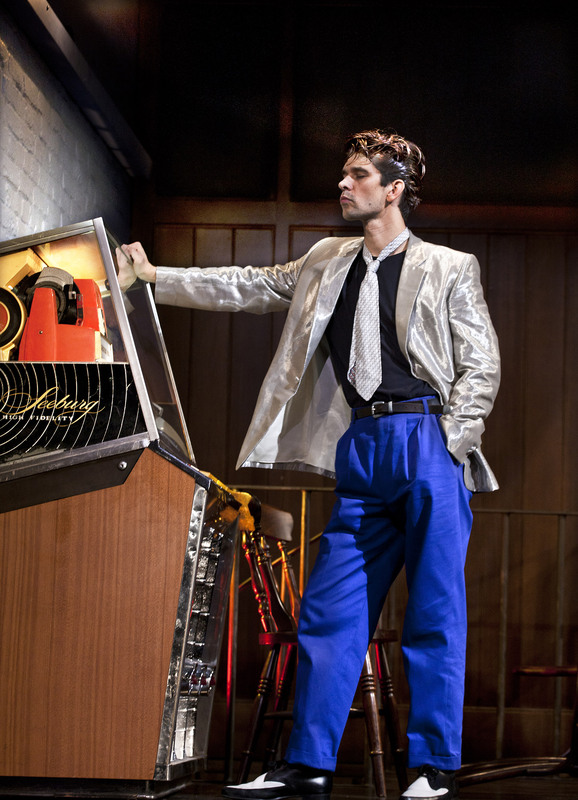 This play is not a light comedy and Ben Whishaw reminds the audience of that. He goes from laughter to rage in a heartbeat and his cold eyes and empty smile leave you shivering. 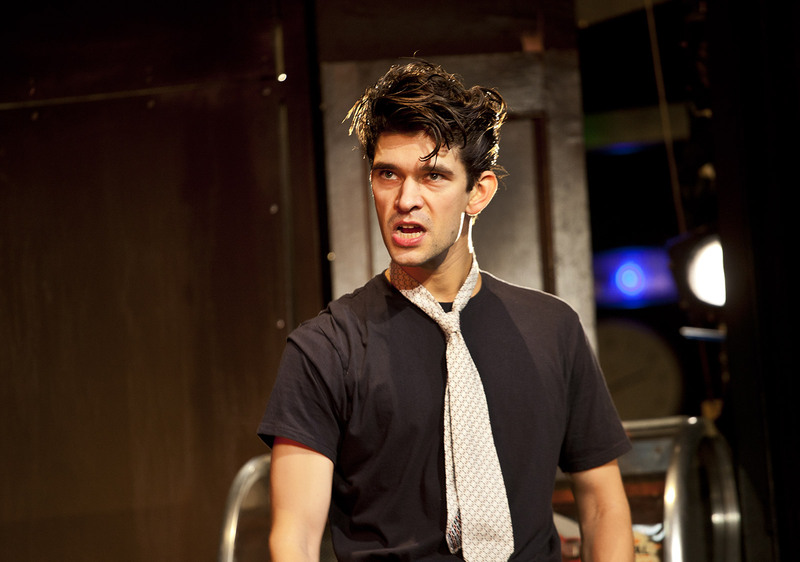 Colin Morgan’s Skinny plays off Ben Whishaw’s Baby really well – the sexual tension between the two characters is barely hidden and it is entrancing to watch them on stage together. Brendan Coyle gives a solid performance as Mickey but I admit he is the one that draws the least attention. That is mostly due to his character not being as well-developed and interesting as Baby, Skinny, Potts and Sweets. Special mention for Tom Rhys-Harries who has a small but physically challenging part as Silver Johnny (I won’t spoil anything by going into detail here). So, is this play worth watching? Yes! The story isn’t perfect, there are a few plot holes and personally I found the ending a bit flat. But it is rare you get to see such intense acting on stage. Mojo is loud and raw. Don’t expect a subtle play, don’t expect understatement and be prepared for a lot of swearing. 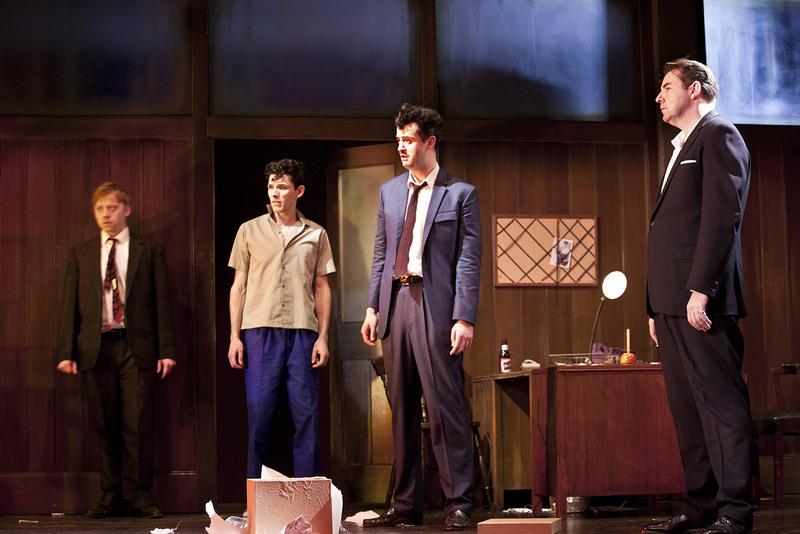 Mojo is playing at the Harold Pinter Theatre until 25th January 2014. For more info and to book tickets go to http://www.mojotheplay.com.